First stop of MUMBAI DARSHAN BUS is Mahalaxmi Temple which is one of the most famous temples of Mumbai situated on Bhulabhai Desai Road in Mahalaxmi area of Mumbai. It is dedicated to Mahalakshmi the central deity of Devi Mahatmyam. The temple was built in 1831 by Dhakji Dadaji (1760–1846), a Hindu merchant. Built around 1785, the history of this temple is supposedly connected with the building of the Hornby Vellard. 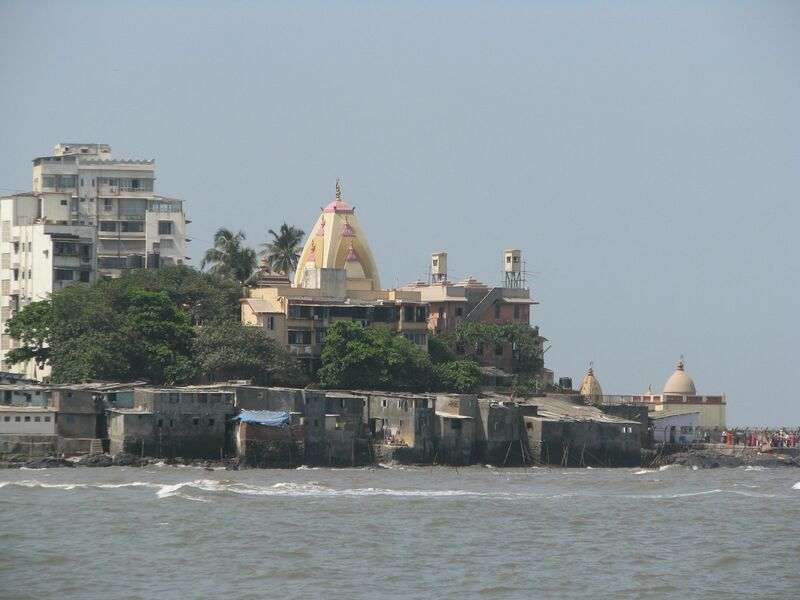 Apparently after portions of the sea wall of the Vellard collapsed twice, the chief engineer, a Pathare Prabhu, dreamt of a devi statue in the sea near Worli. A search recovered it, and he built a temple for it. After this, the work on the vellard could be completed without a hitch. 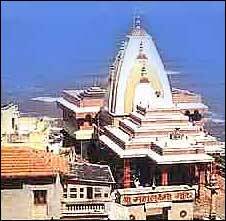 The temple contains images of the goddesses Mahalakshmi, Mahakali and Mahasaraswati. All three images are adorned with nose rings, gold bangles and pearl necklaces. The image of Mahalakshmi is in the center shown holding lotus flowers in tandem. The compound of this temple contains several stalls that sell flower garlands and other paraphernalia used by devotees for worship and as offering. During Navaratri celebrations, devotees from distant places throng to the temple, which is decorated for this occasion, to pay obeisance. They have to stand for hours in long queues holding coconuts, flowers and sweets which they offer to the goddess. You can get down at Mumbai Central or Grant Road Railway Station and come out from the West side from where it is about 25-30 minutes walk or take a Taxi, the fare should be less than INR 50 i.e. 1 USD.